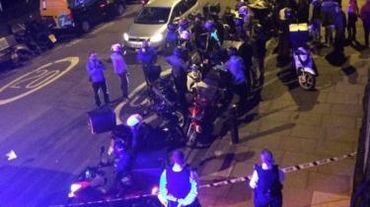 The five attacks took place in 90 minutes across north and east London. i really want to know what the sentence will be. "The recent spike in attacks means the UK has the highest number of reported acid attacks per capita in the world." "This is a horrendous crime, it maims, it disfigures," ACC Kearton explains. "What particularly disgusts me about this crime is that it's premeditated, no-one carries acid around on the streets for any other reason than using it for this reason. "The intention behind this is for someone to live with this for the rest of their lives. "That is lasting physical and emotional damage, its sometimes why some people choose this as a form of attack." Terrifying. Why is acid still so easily available? The acid should be more difficult to obtain. Good afternoon and thank you for this article - which i read and noted- it is so sad that we have to have this discussion at all- that some horrific monster would destroy another human being's life by throwing acid on them is beyond understanding -it is without merit or understanding it is cruelty at its core -THIS SO CALLED TEENAGER SHOULD GO AWAY FOR LIFE- NEVER TO SEE THE LIGHT OF DAY EVER AGAIN-- KEPT IN SOLITARY CONFINEMENT THE WHOLE TIME --NO PAROLE- EVER --THE CRIMINALS FAMILY SHOULD BE REQUIRED TO PAY ALL EXPENSES FOR THE VICTIMS TO RECOVER - NO MATTER HOW LONG IT TAKES- sincerely KAY M.
I find it really hard to understand what kind of a kick someone would get out of throwing acid in random strangers' faces. Maybe he is mentally ill? I totally agree with Catherine.